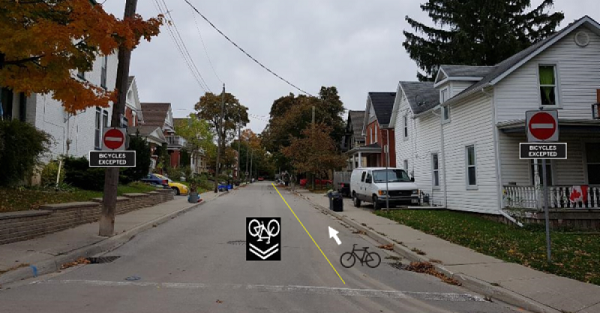 The Public Open House for Civic Centre (Olde Berlin) Neighbourhood Planning Review, Secondary Plan, Land Use, Zoning, Heritage, and Urban Design will be held in Lower Level Room A, Kitchener Public Library – 85 Queen Street North on Wednesday, December 12th, 2018, 6:30 pm – 8:30 pm (Drop-in). See the full details below. 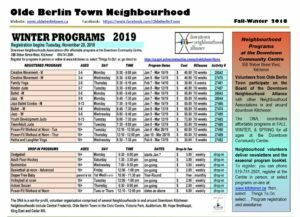 The Planning Department has graciously invited the Olde Berlin Town Neighbourhood Association to have a table and assist in the collection of public questions and comments. 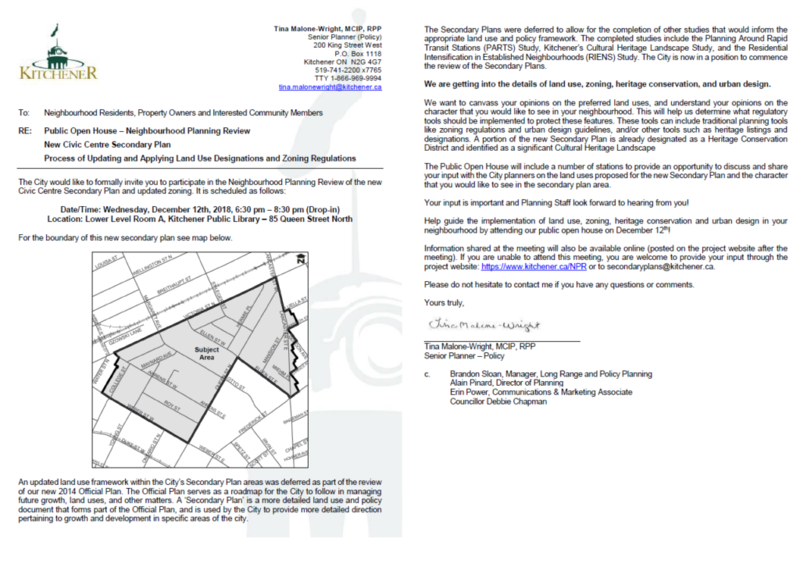 This will enable us to better facilitate a neighbourhood discussion – date to be announced soon. We need your input; hope to see you there. Because the Planning Department is unable to reach residents via mail, due to the postal strike, the Planning Department is asking for neighbourhood assistance in sharing this information. Please forward this notice to the residents, community members and stakeholders from your circle. Thank you.